How Much Will it Cost to Move Into a New Home? 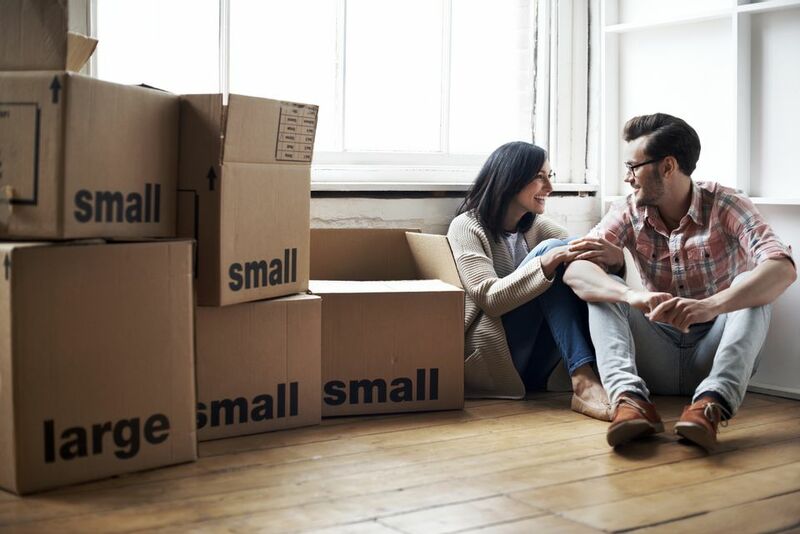 Okay, you've moved in and thought that the worse is behind you, and in a way it is; however, as you settle into your new home, you may find the initial costs are a lot higher than you first thought. Whenever you start up a new utility service, you'll find you have to pay another connection or administrative fee. Some companies charge between $30 to $100 to set-up a service. If possible, look for multiple services in one package, such as cable, Internet and digital phone. This saves you a fee for each service. When you're planning your move and are getting rid of stuff, always consider how much an item is used, what it's value is (both monetarily and personally) and how much it will cost to move or replace it. For instance, that old pull-out sofa that you've never used for an overnight guest might cost more to move than if you bought a new couch that doesn't pull-out. Always do the math first. When you move to a new place, you end up purchasing drapes or rugs, items that might've suited or fit your old home, but just don't work in your new one. This happens most often with blinds and curtains. Window sizes change and needs change. This sometimes applies to plants as well. As plants are difficult to move, and since you can't always determine how much natural light you'll have in your new home, you may need to leave them behind with a caring friend or neighbor and start all over again at your new place. Other items you may need to purchase are appliances that you left behind. These bigger ticket items may already be included in your move costs, and if they're not, make sure you add them on. These are items that you usually can't do without, at least not for any great length of time. Tack their costs on up front to ensure you have the funds to purchase them shortly after you arrive. Sometimes, it isn't until you arrive at your new place that you're able to assess your needs. It is difficult to determine your needs before you actually arrive. Add in the purchase of a few extra lamps, based on one per room. This will cover any rooms that do not have overhead lights and will ensure you're prepared for this extra cost. Remember when you were packing up your kitchen and you thought it was best to leave all those spices behind? Well, now they'll have to be replaced. If you have to replace them, you can count on spending between $2 and $5 a piece, depending on the quality and quantity. Until you do replace them, your dinners may be a little bland. You can also plan on adding another $100 to $200 to your weekly grocery bill, just to fill up those empty cupboards and to get back to a well-stocked pantry. Of course, you can build this slowly, starting with essentials such as some basic spices, pasta, canned tomatoes and beans, and canned soups. Still, plan on spending extra money for the next few grocery runs. The same can be said for the refrigerator. Milk, juice, eggs, cheese, fruit, and veggies all add to the weekly tab. If you're used to shopping weekly not buying more than needed, this may not be so unusual; however, there are always those items such as sauces, dressings, and spreads that are constant companions when the late-night snack attack or for quick lunches. Build in this cost wherever possible. Laundry soap, dish soap, cleaning supplies, and simple items such as light bulbs also add to the weekly bill. With this in mind, you should calculate an extra $50 to $75 just to replace these necessities. Look at each room in your house and determine any items you might need to make it functional. Note items such as garbage bins, shower caddies, extra storage units, wastebaskets and toilet paper. If you've moved to a new state, the first thing you'll need to do is have your car registered and licensed in that state. Sometimes, this will include paying for an inspection and depending on how old your vehicle is, there can be items that need to be fixed before it can be certified. This is difficult to predetermine, so add a 15% contingency to cover any additional costs. The United States Postal Service site provides links to motor vehicles licensing and registration information for most states. State websites will provide fees, regulations, and steps you need to take to get your vehicle registered. While you're at your new state's website, check out the fees to obtain a new driver license. Another hidden cost can be parking. If you do not have a garage, or if you have two vehicles but enough space for one, you may be parking your car on the street or in a secure lot. Some cities and towns will provide you with a parking permit for a yearly fee, allowing you to park on your street, but depending on how many permits they give out, you could be paying for space that isn't always available. The other option is to pay for space in a secure lot. Again, add this on as a monthly expense. Like apartment fees, renting a space may involve a deposit or two-months of rent up front. How Much Money Will You Spend Moving Into a New Home? What Fees and Costs Should You Include in a Moving Budget? How Can I Save Money on Moving Fees? Should I Buy a House Now or Wait and Save More for a Downpayment?